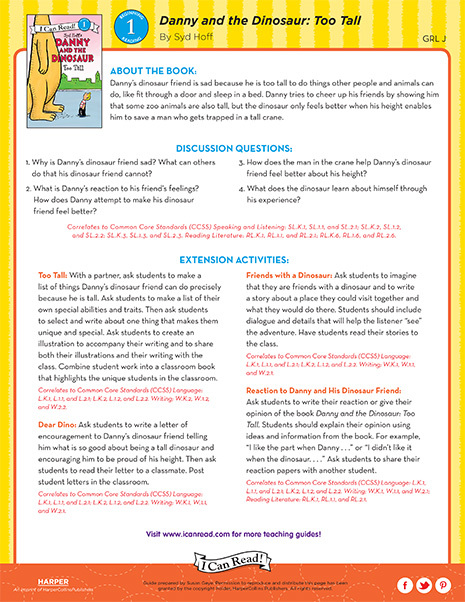 Download a free Teacher’s Guide for Danny and the Dinosaur, a Level 1 I Can Read! book by Syd Hoff! 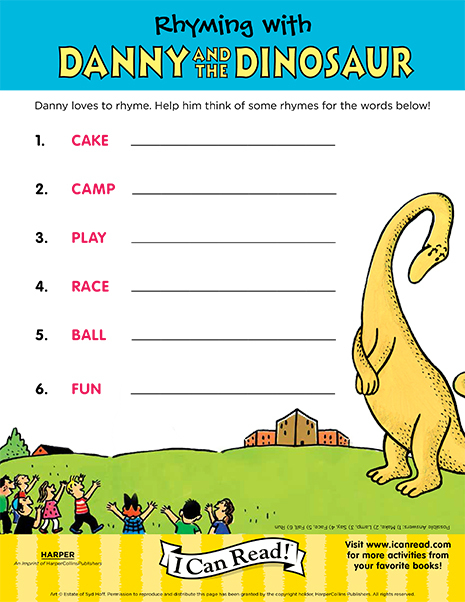 Where does Danny take the dinosaur for the summer? To find out, cross out the letters that appear more than once! 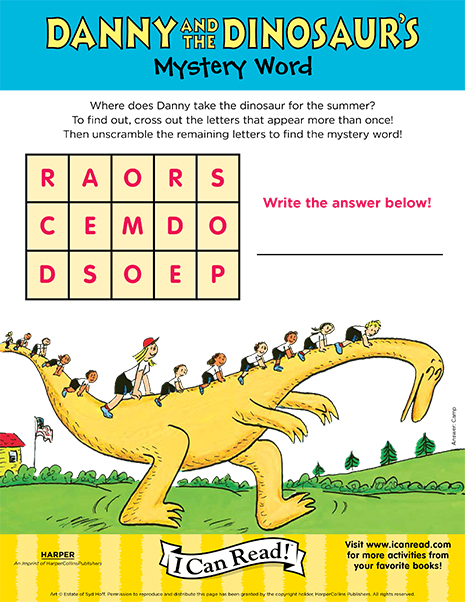 Then unscramble the remaining letters to find the mystery word! Danny loves to rhyme. Help him think of some rhymes for the words! 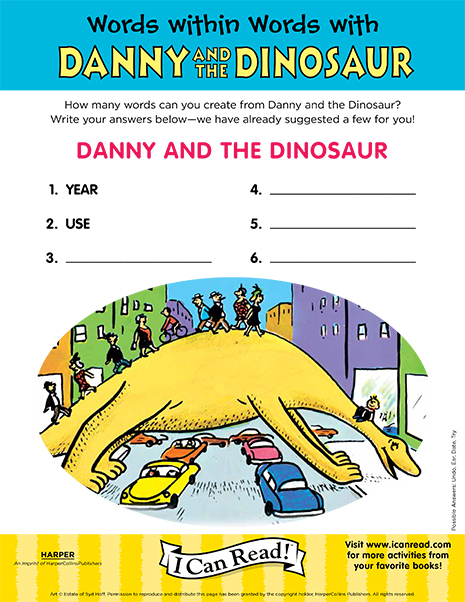 How many words can you create from Danny and the Dinosaur?